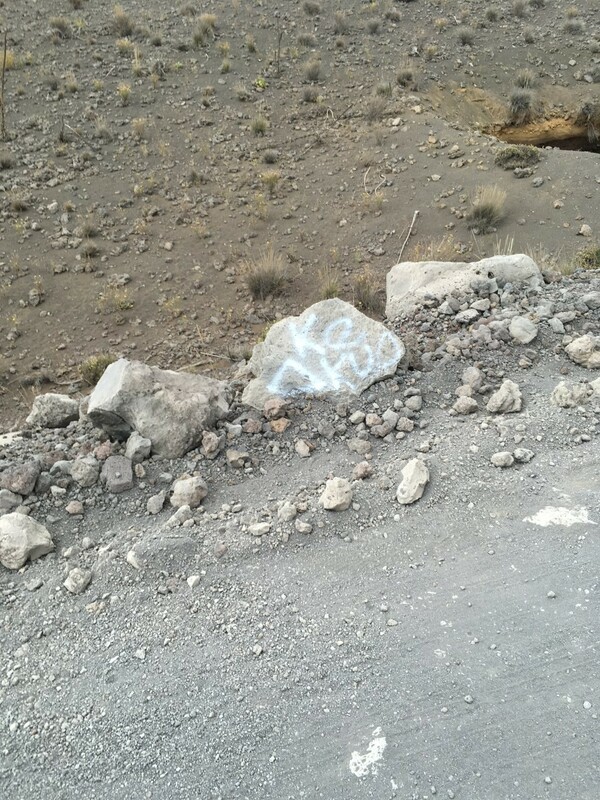 (Hilo)–The Department of Land and Natural Resources’ Division of Conservation and Resources Enforcement (DOCARE) is requesting the public’s assistance in providing information related to a criminal investigation of Prohibited Activities in a Natural Area Reserve (NAR). 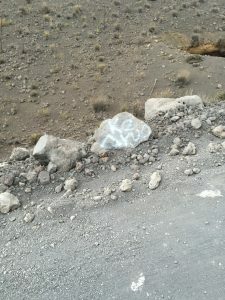 At mid-morning on Friday, April 28, graffiti was found painted on rocks within the Mauna Kea Ice Age NAR. Due to the historical nature of this site, all geological features, including rocks, are protected under the Hawaii Administrative Rules. 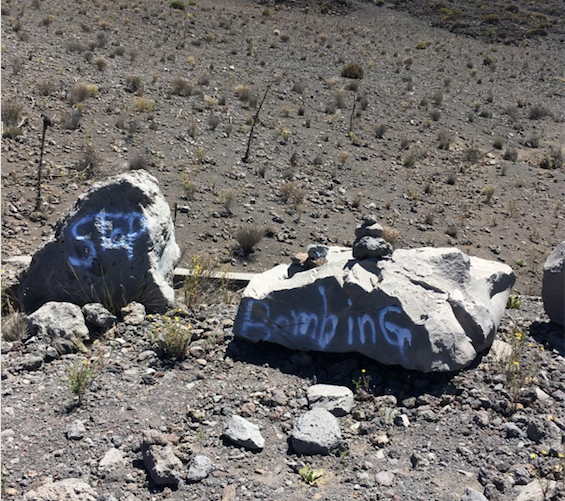 Additionally, graffiti was found painted on various areas of Mauna Kea property managed by the UH Office of Mauna Kea Management. Anyone with information relating to this case is asked to contact the Division of Conservation and Resources Enforcement Hawaii Branch Office at (808) 933-3460 or call the DOCARE statewide hotline at 643-DLNR.